Looking for an item for a golf tournament or a golf related table favor? 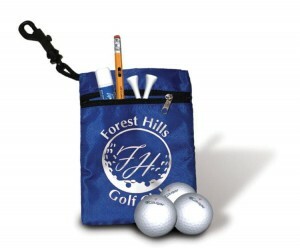 Clever Miniature golf bag, holds up to 3 golf balls, tees, lip balm, or sunscreen. Attaches to golf bag or belt loop. Includes a color matching snap hook to attach to full size bag or belt loop. 5-1/2″ W. x 2-1/4″ H. Imprint area is 3″ x 1″. Available in black with white trim, blue or green with white trim, red or white with black trim and white with red trim. 72 min. Pricing: 72-149 3.20 ea., 150-249 3.15 ea., 250-499 3.10 ea., 500 or more 3.00 ea. Set up is 40.00. Item #AT-410. Spring is just around the corner. 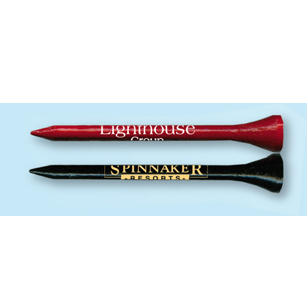 If you need an item to get peoples’ attention at a golf event or as a goodie bag insert, imprinted golf tees fit the bill. With 3 lines of imprint, you can put your name and/or contact information in their hands. 25 characters per line. These come in bulk. Tee colors include: Red, white, pink, dark green, yellow, black, natural, light green, orange or light orange or assorted. Straight line set up included in price. 30.00 set up for logos. Min. is 1000 tees at 85.00, 158.00 for 2K, 355.00 for 5K, 670.00 for 10K. Or order them bagged in 3’s for min of 250 sets at 49 cents ea, 500 sets of 3 at 47 cents ea, 1000 sets of 3 at 45 cents ea. Sets of 5 tees in packs 250- 62 cents ea, 500 59 cents ea, 1000 sets of 5 ea – 57 cents ea. Need at least 100 packs, not 250, 30.00 less than minimum charge. Do you take clients or vendors to golf tournaments? Does your target market golf? 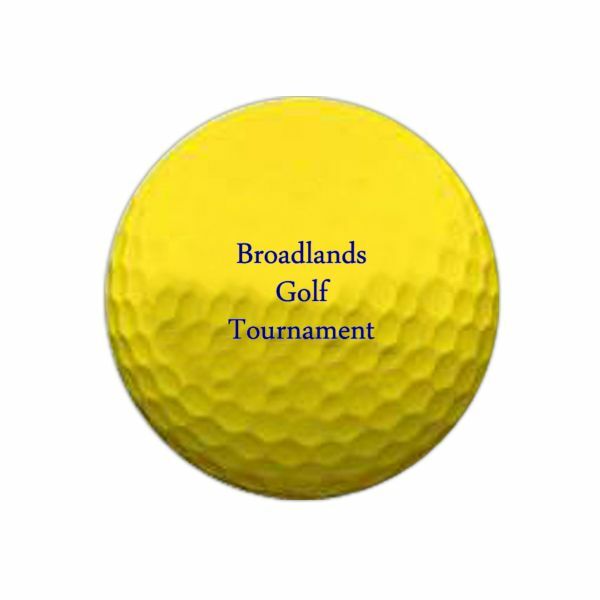 Do you get asked to sponsor a golf tournament and need a useful imprinted golf product to put in goody bags? 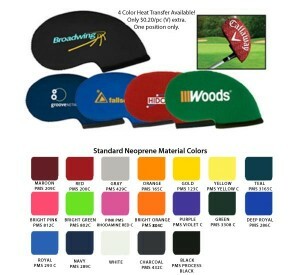 The neoprene wedge covers will have your logo seen time and again as golfers use them each time they golf. This is an insulated cover for irons in a golf club set. The neoprene prevents clubs from getting scratched or damaged and are made from real high quality neoprene, not foam. Imprint is one color ,one side 3″ x 2″ imprint area. With a choice of 19 colors of neoprene, there’s something for every company. Price: 99 cents ea for 250-499, 95 cents each for 500-999, 89 cents for 1000-2499 and 85 cents ea for 2500 or more. 50.00 set up. 4 color imprint is available with a 99.00 set up and 20 cents add’l per piece run charge. Why not have your logo seen time and again? Order yours today!